Today I'm sharing a little about my blogging process in a fun event called A Tour Around Blogland. I was encouraged to do this post by Keri at Living In This Season. I'm currently just trying to keep up with things with school starting up and my first grad class beginning as well. I have my weekly posts of What I Wore Wednesday and High Five For Friday, and I'm trying to keep my Lessons in Fashion series going as well. I've also recently become a contributor to Liberating Working Moms, so I am having fun thinking up ideas to post over there once a month. 2) How does my work differ from others in it's genre? I think I'm different because my blog fits into a variety of genres. I could consider myself a fashion blogger, but I enjoy crafting tutorials as well as sharing about our family and some aspects of parenting. I guess my readers never know what they might get from me if it's not a Wednesday or a Friday. It might be a good thing or it might keep readers away. I'm not totally sure. I think some people like a mix of genres because that's who we are as people. 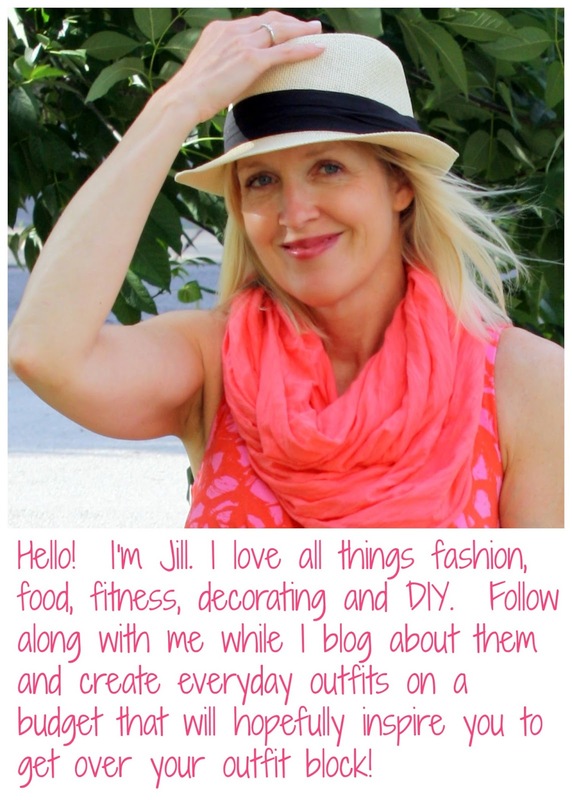 I blog because it is the creative outlet it gives me. I love doing things for myself, but it's fun to be able to share it with other people. There's only so much enthusiasm my husband can give about my continual projects and outfits, though he cheers me on non-stop. I've also had friend ask me for help with their own fashion or sewing projects because they have seen what I do. It makes me feel like what I blog is worth-while. 4) How does my writing/creating process work? I just started using a blog planning calendar. I know I have the two anchor days of Wednesday and Friday. I also have a couple monthly items like my Darby Smart box and my Ipsy bag. Whenever I go thrift shopping, which can be often, I'll take pictures of those items and save them up for a Thrifty Finds post. Other than that, my posts are just ideas when inspiration strikes. I have a going list of things I'd like to blog about, and when I get the time at night or on the weekends, I work on them. I have quite a few ideas for my Lessons in Fashion series stored up. I just have to make the time to put the outfits together and photograph them. Ideas can come at night, but outfit photographs must usually happen on the weekends during nap time because of the lighting. I'm nominating three wonderful bloggers to share about their process. Hop over to their blogs and say hello! They'll be posting their Tour of Blogland on the 15th! 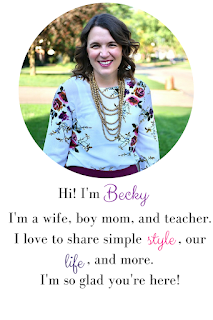 My name is Rachel and I am a blogger of Garay Treasures. I am a wife and former special ed. 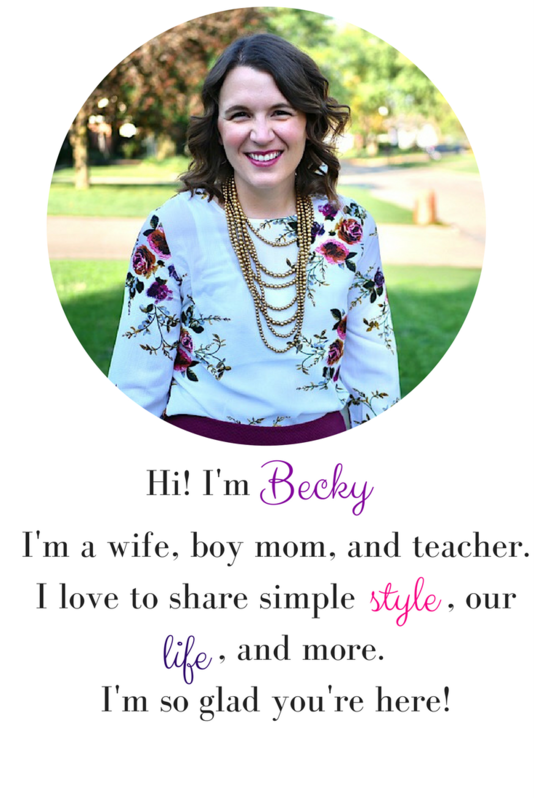 preschool teacher turned stay at home mom of four children (16 month old twins, a 2 year old and 5 year old). I blog about my family, faith, DIY crafts, what I am learning as a mom and blogger and finally style and fashion through what I already own in my closet, to thrifting and vintage finds. I am thankful that Becky has chosen to nominate me, I enjoy her friendship. Please stop on by my blog and check out what's new. I can't wait to meet you. Hi, there! 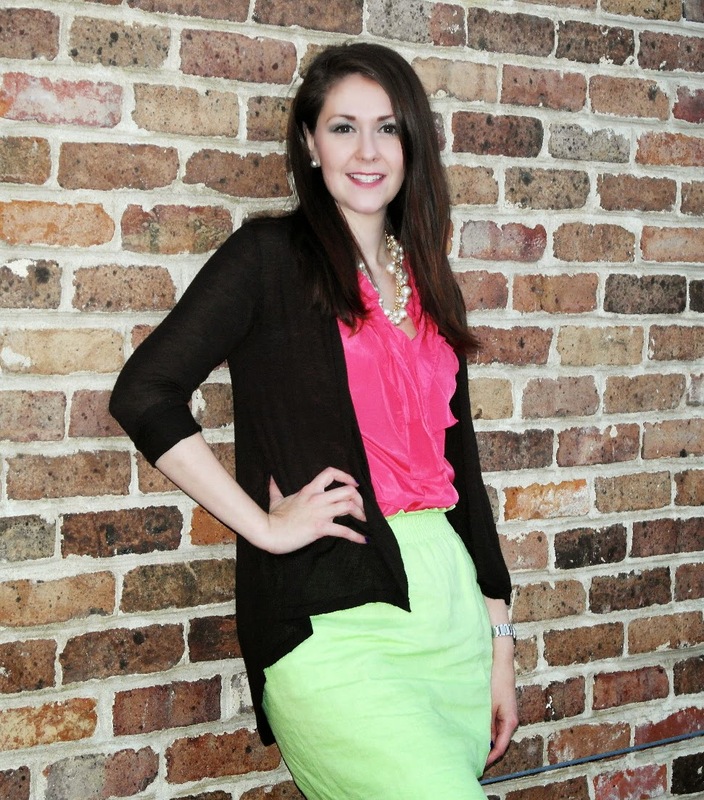 My name is Tif and I blog at Bright on a Budget. I'm an attorney (in-house counsel), mommy, wife, and MBA student. I'm also a dedicated bargain hunter, who's committed to never paying full-price for anything. My blog gives tips, tricks, and deals for beauty, life, and style, helping you to be bright on a budget!